Costing a hefty $2,499, Zeus can scan objects that are up to five inches high. 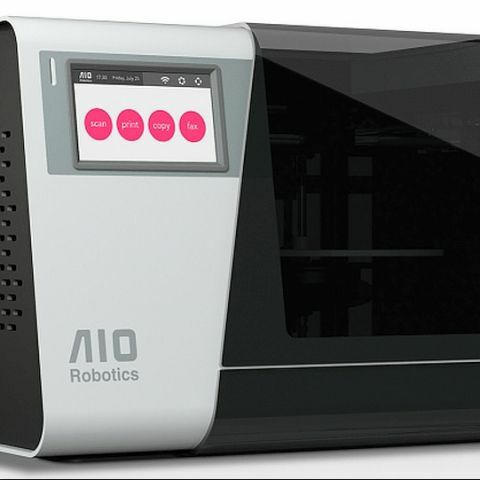 AIO Robotics has created the world's first 3D printer which can, other than printing 3D objects, send them to other printers using the internet. The printer is called Zeus and is the first of its kind measuring 8x6x5.7 inches. 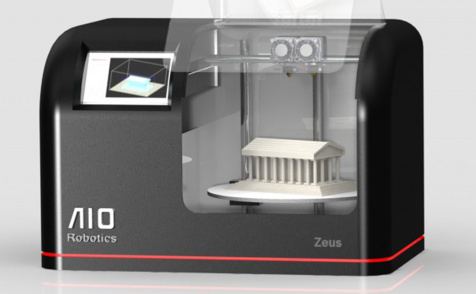 Zeus can print objects at 80 microns and scans at 125 microns. It has a 7-inch touch screen on the front which helps users manage their print jobs easily. It also contains a replaceable extruder which helps in case things break. The basic principle of working in Zeus is just like any other 3D printer as it uses a standard plastic filament system. Even though 3D printers are extremely cheap now (for as low as $200) but unlike Zeus, they cannot be used to work together properly especially while transferring files between them. Zeus also uses Precision Scanning, which lets users refine print data and convert it into a print-ready mesh model. The resulting model is more smooth and realistic. Users can also use the printer without the need of any additional PC as it comes with an onboard processor (Exynos 4412, Quad-Core at 1.7GHz) which performs meshing and slicing on its own. It features a 2MP Full-HD CMOS camera and supports USB flash drives. It can be connected to the internet via Wi-Fi. Zeus is yet to hit the markets and as of now, it is only available for pre-order. It was started as project on Kickstarter which successfully completed funding on Oct 4, 2013 with the pledge of raising $100,000. Developer of Zeus, AIO Robotics is a tech company which makes All-in-One 3D printers and was founded in 2013.
why is mediatek more loved by other indochinese brands?